4650 Cameron Road, Madeira Park - SOLD | Jenny Wun - Oakwyn Realty Ltd. 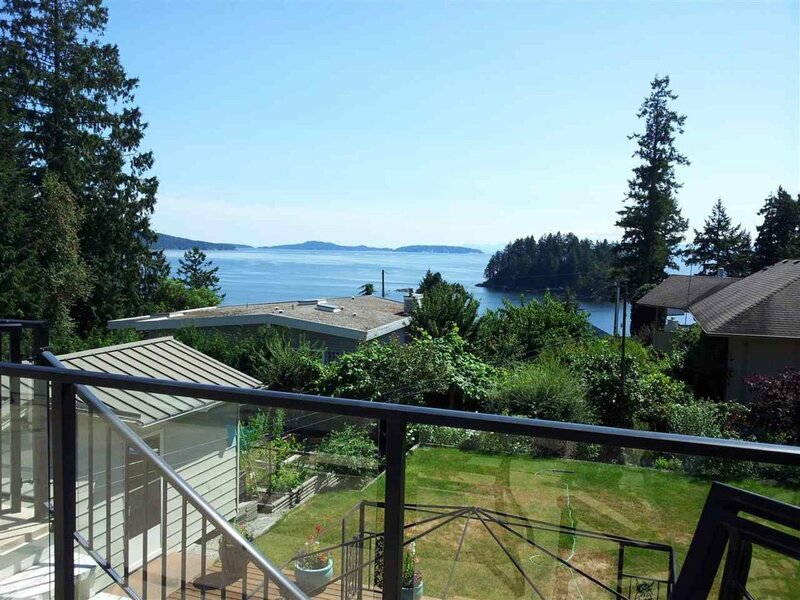 This prime 3 bedroom/2 bath ocean view bungalow with walk out basement including furniture has plenty of sun with its southern exposure. The backyard is fully fenced and there are 3 shed/workshop/storage areas. 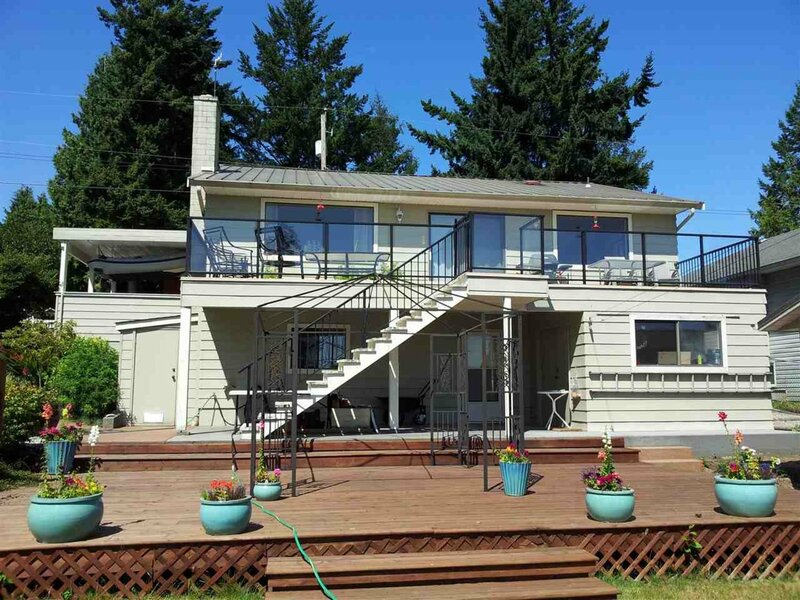 The large deck on the ocean side is fabulous for entertaining and sunning. The patio below extends to the grassed yard and large enough for working under the covered deck. The lower level is large enough for guests privacy. The main level has a recently updated modern bathroom and kitchen and a propane insert in the living room as well as a newer 3 year old propane heating system throughout. There is the fabulous sandy Baker's beach for your children 2 blocks away. 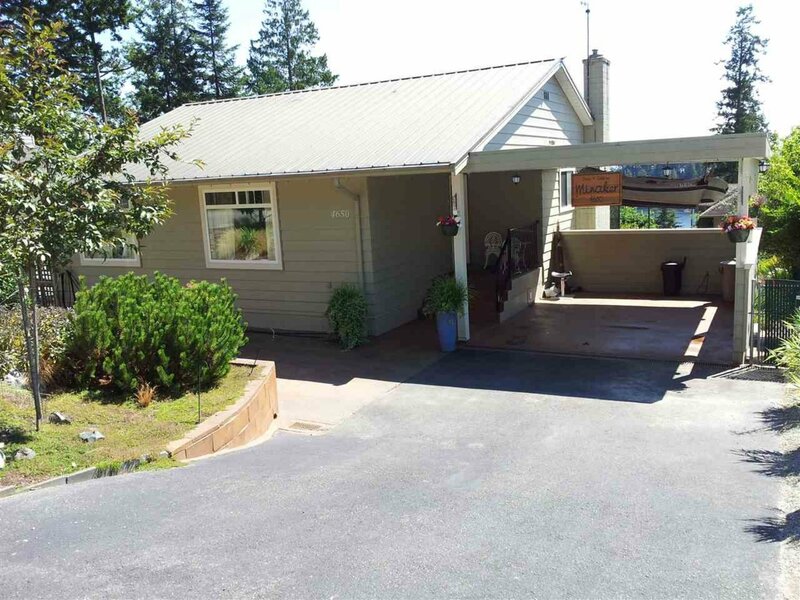 There is also an oceanfront access down the street & Whiskey Slough for moorage close by.